Today “Mint” service by JetBlue comes to Florida (finally)! JetBlue will offer Mint beginning today on daily service between Fort Lauderdale and Los Angeles Int’l Airport (LAX). The airline will add Mint service on existing nonstop service to San Francisco from Fort Lauderale in May. Mint is a premium service offered on dedicated new A321 aircraft, with new service between Fort Lauderdale and California complimenting existing service from the Northeast to the West Coast. 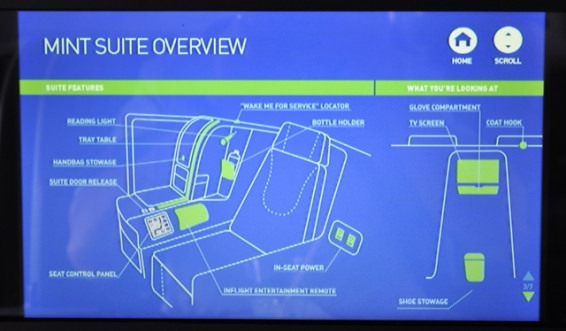 The service features larger seats, Wi-Fi, dedicated check-in, early boarding, 100 channels of Live TV and artisan foods and drinks. Ironically all seven new Mint routes for 2017 are served by either Alaska Airlines or Virgin America. JetBlue attempted to buy Virgin America over in 2016, but the California-based airline instead closed a deal with Alaska Airlines. The combined carrier that will result from the Alaska-Virgin merger will be arguably the strongest on the Pacific Coast. Since JetBlue’s core strengths lie on the east coast, a Virgin merger was logical but instead now have to fight a stronger competitor on the most lucrative routes in the country – the east-west transcontinental ones that shuttle business travelers from one coast to another. We are already seeing the dominant Pacific Coast carrier, Southwest facing new challenges from the combined Alaska/Virgin entity. That is good news for consumers.